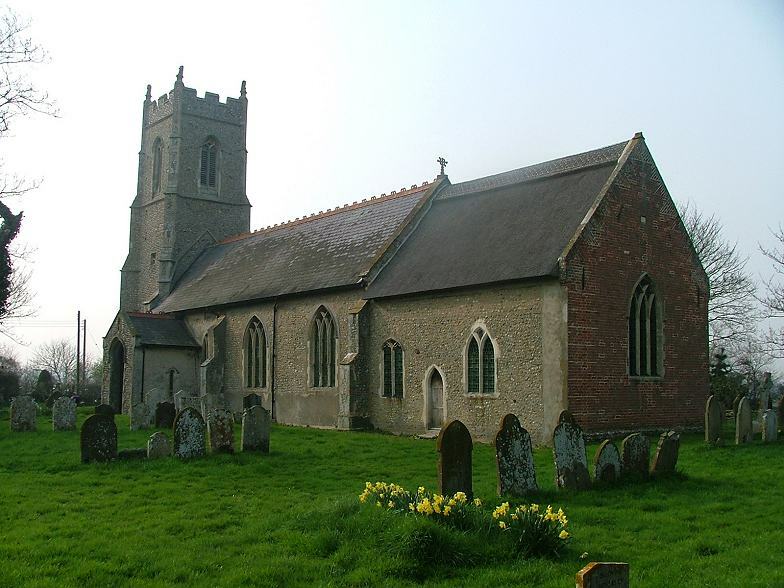 In any area where there is a large number of interesting small churches, you expect the less interesting ones to be locked, especially when they are in remote hamlets along narrow lanes; but St Peter is open every day for private prayer and to welcome strangers, like so many of the churches of this large benefice. 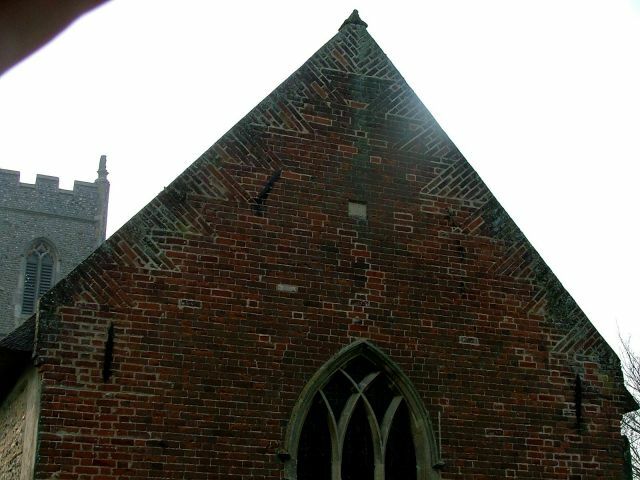 And it is not wholly without interest; the tower, looking rather more Suffolk than Norfolk, retains medieval sculptures of the four evangelists at its corners, albeit very eroded, and the rebuilt red-brick east wall of the chancel employs a technique that Pevsner tells me is called tumbling to support the roof. Like most churches around here, St Peter was substantially rebuilt in the early 15th century, but what we see now is heavily restored by the Victorians. Inside, this is a simple village church, lovingly kept and obviously still well used. The organ tucked in to the south of the chancel arch looks fine. The Purbeck marble font is similar to many around here, but set on its double pedestal in the open brick floor it looks very well indeed. A pleasant spot for a pilgrim or stranger to rest, I'd say.